Although it is not flush toilet, you can shed the waste tank with a tank so that their own flights. 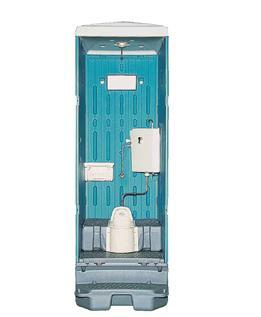 Let the difference between Hino and toilet, water tank is not included. Since the use of water by subtracting from the water, basically water construction will be required at the time of installation. To clean the toilet bowl because it is run in a free fall of water accumulated in the low tank, but inferior in terms of the momentum of the water flow to Hinoretto of formula foot pump, the other hand, because it does not use the leg when the flow of water, clean There is an image. The amount of water used for washing a batch of low tank flush toilet is a simple formula is the same as the Hinoretto about 200 ~ 250cc. For handling the waste, but will be used for the flight tank, tank flights in addition to how to use the GX normal tank, you can also embed the tank in the basement of a large flight. Can reduce the number of Kumitori, there is less burden on the maintenance of the toilet.Because it requires work to embed a tank larger than for use as a temporary toilet “Construction water is available, but the scene flowing drainage is not possible because the conditions were not yet ready sewage” suitable for use as a toilet the permanent It can be said that.